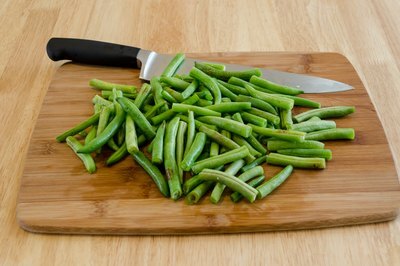 Also known as green beans or string beans, snap beans are grown in gardens across the world. Their name derives from the sound they make when broken or snapped. Fresh snap beans are cooked in a variety of methods (they are eaten pod and all), but boiling and steaming the beans are the most popular. Selecting the right snap beans for cooking will result in the best flavor. Beans picked too late in the growing season will have a tough texture when cooked. 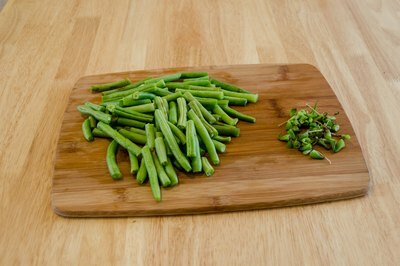 These beans have bulging pods or a discolored skin, and should be avoided when choosing the best snap beans to cook. 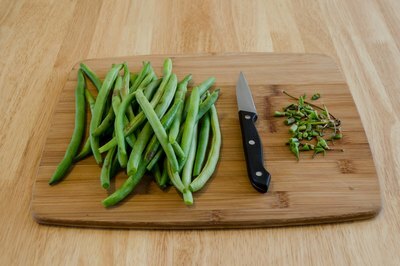 Break off the ends of the green snap beans and discard these stringy ends. Remove any bad spots. Wash the snap beans thoroughly. 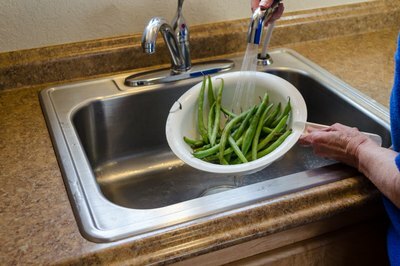 Run the beans under warm water to ensure that they are dirt- and debris-free. Snap the beans into pieces. Break each bean into two or three pieces. Leave beans whole if you prefer longer green beans. Place snap beans in a shallow pot. Cover beans with water and bring to a boil. 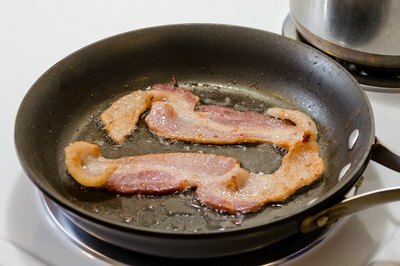 Cook bacon slices on a skillet. 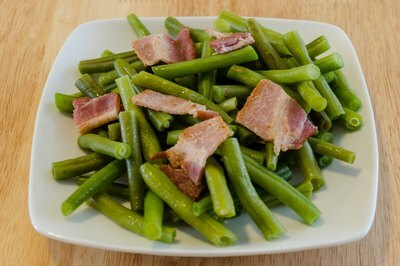 Add bacon to the pot of snap beans. Season the beans with salt and pepper. Cover snap beans. Bring beans to a simmer. Cook for 20 minutes or until beans are tender enough to eat. 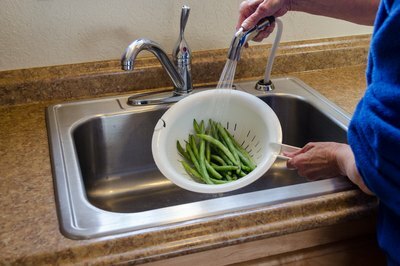 Clean snap beans under warm water. Remove bad spots from the beans. Break off the firm ends. Snap the beans into pieces. Add beans to a microwave-safe bowl. 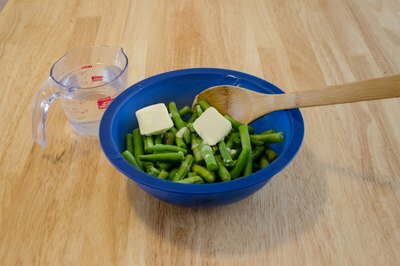 Combine two tablespoons of softened butter with beans. Cover beans with one cup of water. Ensure that all of the beans are covered. Season the beans with salt and pepper. Place plastic wrap around the top of the bowl. Poke a hole in the plastic wrap to allow ventilation.Cook beans in the microwave on the high setting. Allow beans to cook for 10 minutes. Check the tenderness of the beans. Cook in the microwave for another two to three minutes if they have not reached the desired tenderness. 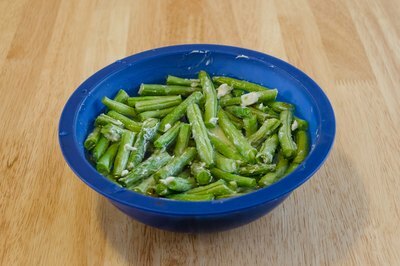 Shock the green beans to keep their color bright. After boiling the beans for five minutes, place them in ice water. After a few minutes in the ice water, resume simmering the beans until tender. 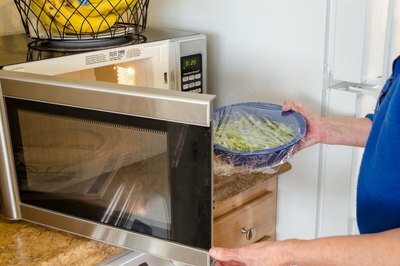 Using steam bags to microwave the snap beans is also a convenient option. 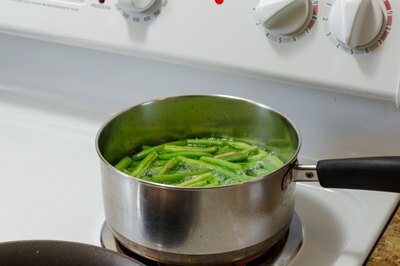 Simmer snap beans for an hour or more for a soft, mushy texture if you do not enjoy the firm bean texture.